With the holidays nearly upon us, we will all eventually have a stack of presents to wrap. Whilst you no doubt have the perfect present idea lined up for your loved ones, you may have not considered the benefit tissue wrapping paper could have for your gift receivers. Keep reading for some inventive ways you can use tissue paper and other materials to pack and deliver the gifts to your loved ones this Christmas. Create Packaging with a Vintage Feel. If you are wrapping presents for your older relatives opting for vintage brown tissue paper with a wax seal could invoke some fond memories. This will make the experience of present opening more enjoyable for the whole family. Using old photos could add to the nostalgic effect and be an interesting way to identify whose presents are whose without the need for labels! The type of wrapping paper you use can make all the difference. Whilst regular wrapping paper is a staple, using the more unique tissue paper will help you stand out from the crowd. Be sure to double wrap your tissue paper gifts to make sure your presents remain a secret right up until Christmas day. Personalising your designs with this type of paper can help you make the whole experience more memorable. Creating bespoke paper bags can make the experience of giving drinks more interesting over Christmas, and the bag can then be reused in the future. Personalising the bag could also make it part of the gift. This will lead to less wrapping paper and packaging being used overall which is good for the environment. Using bespoke paper bags and wrapping paper could be a great way to promote your business to your clients. Adding your branding to the bags could also spread brand awareness to other people if the bags are reused. 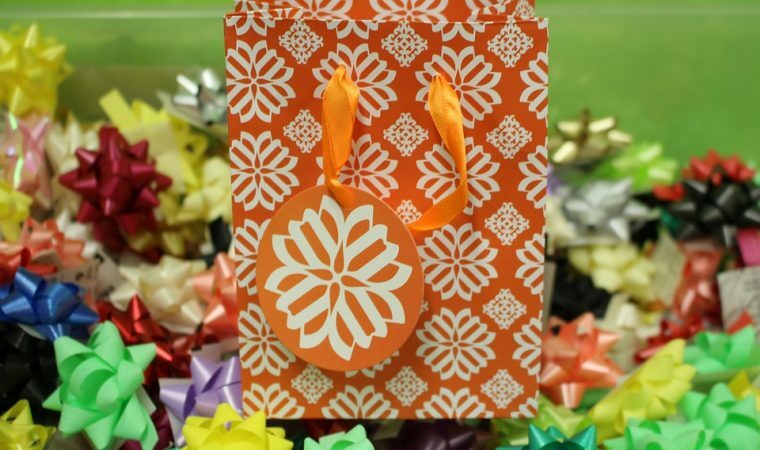 Depending on the type of gift, you could incorporate recycled goods into the packaging. Jars work well for edible gifts while old tins could be repurposed and packed with tissue paper for delicate items. Personalising the tin could make the packaging part of the present. You could also include leaves and stems in your wrapping repertoire. Using this can really give your presents a festive feel if you use seasonal plants. Pair this with natural coloured tissue paper to impress the receiver this Christmas. Creating your own bespoke packaging could the perfect way to get the children involved in family activities and make the Christmas period a special one. Cutting down on wrapping paper will also help save you money. If you are a business considering sending gifts to clients, using good quality packaging is essential to give them the best possible experience. For fantastic bespoke packaging and tissue, paper options visit the Paper Bag Co today.